Computers are a huge part of most of our lives these days, with our digital lives often being a huge part of our every day now. So it may or may not come as a surprise that instead of an actual room this month, we are decluttering our beloved computers. Now by computer declutter, it isn’t limited to just a desktop personal computer, or a laptop, but extended to include our tablets too if that happens to be your primary computing source. Where I refer to programs, this can also be applied to applications as well. For many, computers now hold so much important information relevant to our personal lives, from photographs to scanned documents, work and entertainment. We save files that hold essential information that we would be somewhat lost if we ‘lost’. Or if you are like me, the computer has become a place of your creativity also, such as with my project life memory keeping as a digital alternative to scrapbooking. 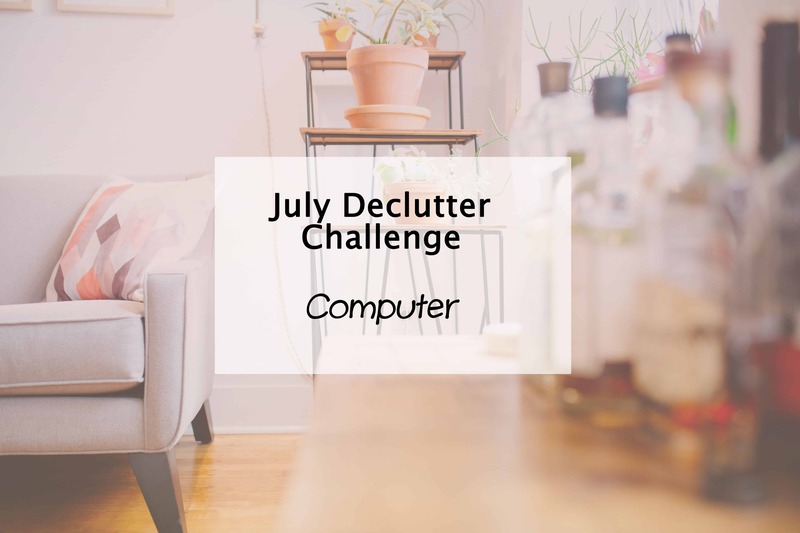 With all that in mind, this is why I added the computer declutter to the challenge schedule. 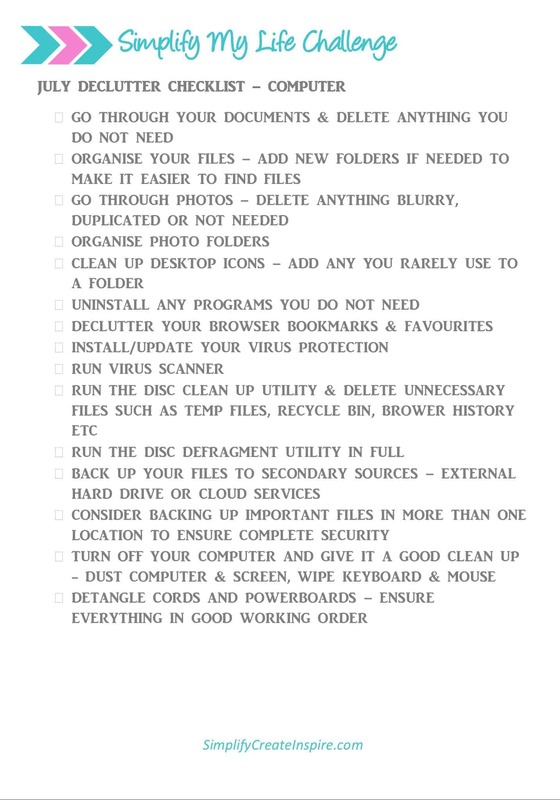 Having an organised computer is not only essential to being productive, but also helps the health of your computer, by minimising the excess and keeping everything up to date. Don’t forget to check out the rest of the Simplify My Life challenge tasks to help you organise, declutter and simplify your life from head to toe, whether you want to join a couple of tasks or all of them, you can do it at your own pace. But make sure you let me know how you’re going because I’d love to hear. How do you keep your computer healthy? Comment below and let me know your tips plus your progress with this month’s challenge. Great post. This has been on my to do list for far too long and I’m hoping to tackle it this week. Hope you get the time to do it Raychael but then you may be celebrating a pro blogger ticket win instead haha almost time! I regularly clean up images and things I download for blog posts, but I do need to get better at going through photos and deleting useless ones. I always back up to an external Hard Drive, and to Drop Box for important documents. *runs away and hides* It’s funny, I am really great at keeping the clutter in my physical world under control, but my digital world is a mess! Eeeek… Sounds like one you definitely need to tackle. Back up all those photos too! I’m relieved my digital life is one I keep organised these days. Different back in uni days. Good luck!